Direct Sportslink secured former Arkansas Head Basketball Coach Nolan Richardson for Waddell and Reed's corporate hospitality event centered around March Madness. Direct Sportslink has worked with Waddell and Reed on numerous events securing past Final Four legends, Heisman Trophy winners and Super Bowl MVP's. For this specific event, Coach Richardson gave a motivational speech, answered questions, and greeted all the employees while signing basketballs for charity during the entire evening of the first round NCAA basketball games. To hire Nolan Richardson for any motivational speaking engagement, personal appearance or endorsement please contact the celebrity booking agents at Direct Sportslink. We work directly with Nolan to hire him for any event. A Nolan Richardson personal appearance, Nolan Richardson speaking engagement, or Nolan Richardson endorsement will reflect well on your company. To hire Nolan Richardson now for any corporate appearance, fundraiser, motivational speaker event, personal appearance, autograph signing, or website endorsement please contact our celebrity agents at 1-877-6-SPORTS. We will contact Nolan Richardson or contact Nolan Richardson's agent and provide you with the booking fees and availability immediately upon your request. Direct Sportslink is the only sports speakers bureau and talent booking agency based in the United States securing only sports talent for corporations, associations, and organizations for motivational speaking engagements, personal appearances, and endorsements. We are the premier sports celebrity booking agency and a sports celebrity procurement expert. Accordingly, we will provide you with any relevant Nolan Richardson website information and booking agent details so that you can hire Nolan Richardson for your next event. Coach Richardson was born in El Paso, Texas. He played collegiately at Texas Western College (now the University of Texas at El Paso) playing for two years under the future Basketball Hall of Famer Don Haskins. 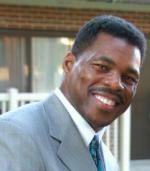 Coach Richardson began his coaching career at Bowie High School in El Paso, Texas. He then moved to Western Texas College, where he won the National Junior College championship in 1980. He was the head coach at Tulsa from 1981 to 1985, leading Tulsa to the NIT championship in 1981. In 1985 Richardson became the head coach at the University of Arkansas, where he gained national recognition. Richardson took the University of Arkansas to the Final Four three times, losing to Duke in the semifinals in 1990, winning the National Championship in 1994 against Duke, and losing in the Championship game to UCLA in 1995. He was named the National Coach of the Year in 1994. His teams typically played an up tempo game with intense pressure defense - a style that was known as "40 Minutes of Hell." He is the winningest coach in Arkansas history, compiling a 389-169 record in 17 seasons. Coach Nolan Richardson was elected to the National Collegiate Basketball Hall of Fame in 2008. On October 20, 2009, Richardson was named head coach of Women's National Basketball Association's Tulsa Shock, formerly known as the Detroit Shock, a position he held until July 8, 2011. 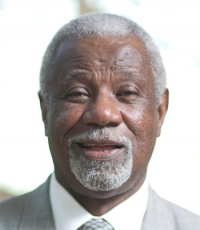 Based on your interest in Nolan Richardson as a speaker or for a personal appearance, Direct Sportslink has provided you additional links below for other sports talent with similar appearance fees, speaker topics, and categories that match Nolan Richardson.